Show off your personal style with iron-ons, fabric painting ideas and more. You'll love our step-by-step instructions and products for all your fashion crafting needs. Looking for photo transfer decoupage project ideas? 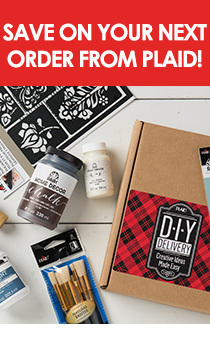 Get out your Mod Podge and start crafting the 10 projects in this free eBook! Read this article to learn how to heat-set your painted fabric projects. Learn more about the Fabric Creations Fantasy Glitter paint by reading the FAQ.